Linking Individuals to their Natural Community (LINC) is an incredible summer internship opportunity for high schoolers. 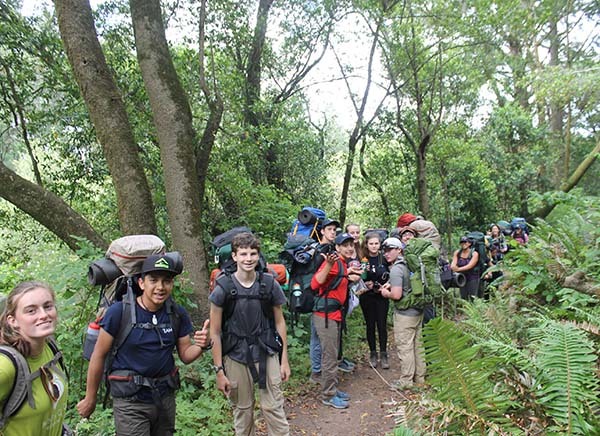 The six-week program begins with a four-day camping trip in a spectacular national park during which participants will support a service project, engage in team-building, explore various park sites, and go on an adventurous hike. No experience is necessary—this internship is for students who are eager to learn new skills, open to new experiences, and enjoy the outdoors! The Mt. Tam LINC team will meet 6/18 to 7/28 in Corte Madera. Students will earn an educational award of $1,000 upon completion of the program. Applications are due March 11. Say hello when you see these new faces on the mountain! 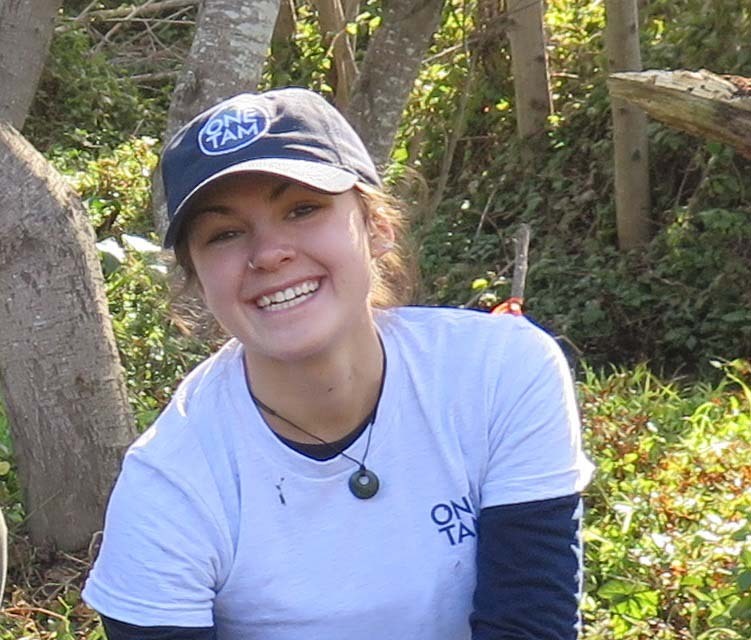 Marie Baeta is One Tam’s new Community Engagement Program Assistant! Marie is excited to bring her love of inquiry learning and passion for the outdoors to the One Tam team. She holds a BA in Child Development from San Francisco State University and Certificate in American Sign Language. 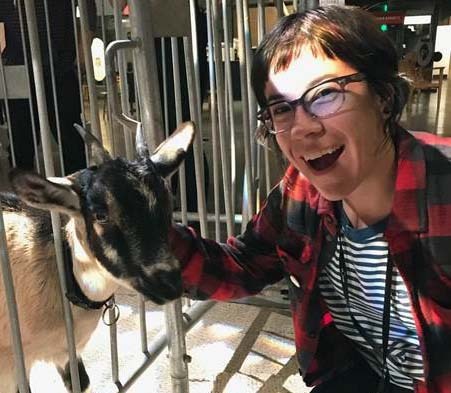 Moving from classroom education into experiential learning, she found herself at the Exploratorium where she learned a little bit of everything—from dissecting cow eyes to exploring lichen to the psychology of sharing. For the last five years she has developed engaging, creative, and accessible programming and activities for the public at the Exploratorium. She is a life-long learning enthusiast and practices finding something interesting about anything. In her new role, Marie will take charge of the One Tam Roving Ranger and find new and creative ways to engage with the communities of Marin. 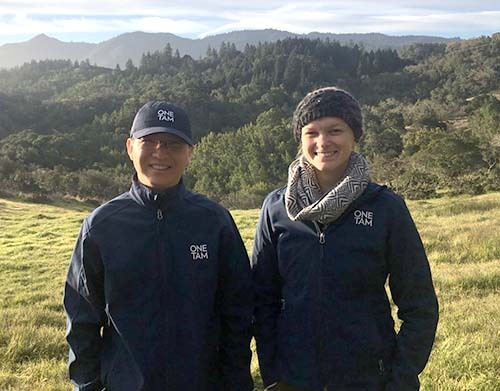 The Conservation Management Team is also pleased to welcome Allison Titus and Chris Qian back to Mt. Tam! Allison returns after a series of winter adventures for a second season as a Conservation Management Assistant. She’s excited to survey new lands within the area of focus and deepen her understanding of the mountain. 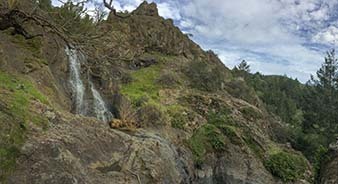 Chris returns to the mountain, where he worked in 2017 as a seasonal Watershed Aide for Marin Municipal Water District, with enthusiasm for the plants, ecology, and stories of Mt. Tam. Chris was born in the city of Guiyang, in southwestern China, where the pine forest behind his home was his playground and place of many childhood adventures. This season Chris and Allison will assist the team in early detection surveys for invasive plants. With a goal of surveying 100 miles this season, the team is eager to hit the field. Rapid response treatments are an important aspect of this effort to prevent costly future invasions. 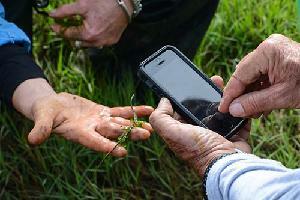 From April to June, grassland assessments and rare plant monitoring pull the team out of the weeds—at least a bit—and bring into focus some of the resources One Tam aims to protect. The team works diligently to ensure that data from each project is complete and accurate for analysis and reporting. Throughout each task, they learn more about the mountain and connect the efforts of the agency partners. Last but not least, Laurel Halvorson, One Tam’s newest intern, was born and raised in the heart of the Colorado Rocky Mountains, sparking an inner and growing passion for the natural environment. She had moved to the Bay Area four years ago to pursue a California college career path, and now is a third-year student at College of Marin studying Social Environmental Science, with the intent to transfer to University of California, Berkeley. Laurel is the Vice President of the Environmental Action Club on the College of Marin campus, which educates students and helps shift the campus toward sustainable policy changes for the future. Other than her professional life, Laurel enjoys long hikes with good company and a good cup of coffee. More dates to come—keep an eye on the One Tam calendar! Outstanding in the Field Returns to Mt. Tam - Tickets on Sale March 20! Mark your calendars and save the date! Last year Outstanding in the Field hosted an unforgettable benefit dinner for One Tam on the mountain, along the Seven Sisters section of West Ridgecrest Blvd. We are excited to announce that on November 3, Outstanding in the Field returns for their second dinner on Mt. Tam, featuring famed chef, George Chen of China Live. Tickets are expected to sell out very quickly! To be a part of this extraordinary evening, mark your calendar for March 20, when tickets go on sale. Saturday, March 24, 10am- 2:30 pm. Little Carson Falls Hike for One Tam Members. Join us for this special outing to observe endangered yellow-legged frogs and the beautiful Carson Falls. This is a 6.5-mile hike with moderate to difficult sections. After more than 18 months of community engagement and technical studies to understand the opportunities and challenges for the restoration of the site, the West Peak project team is excited to soon share the preferred project concept! 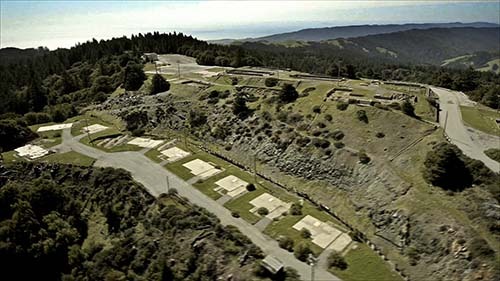 This preferred concept outlines opportunities for an extensive restoration of West Peak, while also providing a framework for visitor access consistent with the project’s restoration goals. The project team plans to share the preferred concept and associated report with the District Board of Directors at their April 20 meeting. Please check the MMWD website for the final meeting agenda and timing.